Mother of Mini-Meatiness! 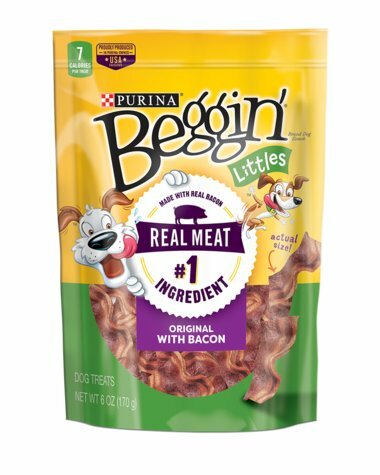 Made with real meat as the #1 ingredient, there’s never been a meatier way to give your dog the big bacon flavor of Beggin’® Littles Dog Treats. With big taste in a smaller dog treat, Beggin'® Littles were made especially for your little buddy to let him in on all the bacony fun!